We have been lucky enough to watch In the Night Garden Live twice when it was performed in their travelling ‘pod’ which we really enjoyed. We were invited* to see their new show as it began it’s first ever tour of UK theatres. We went to The Lowry Theatre in Manchester, which is such a beautiful and intimate theatre. The theatre was nice and full and an excited chatty crowd eagerly waited for the show to start, the place was awash with Upsy Daisy light spinners illuminating the darkened theatre. 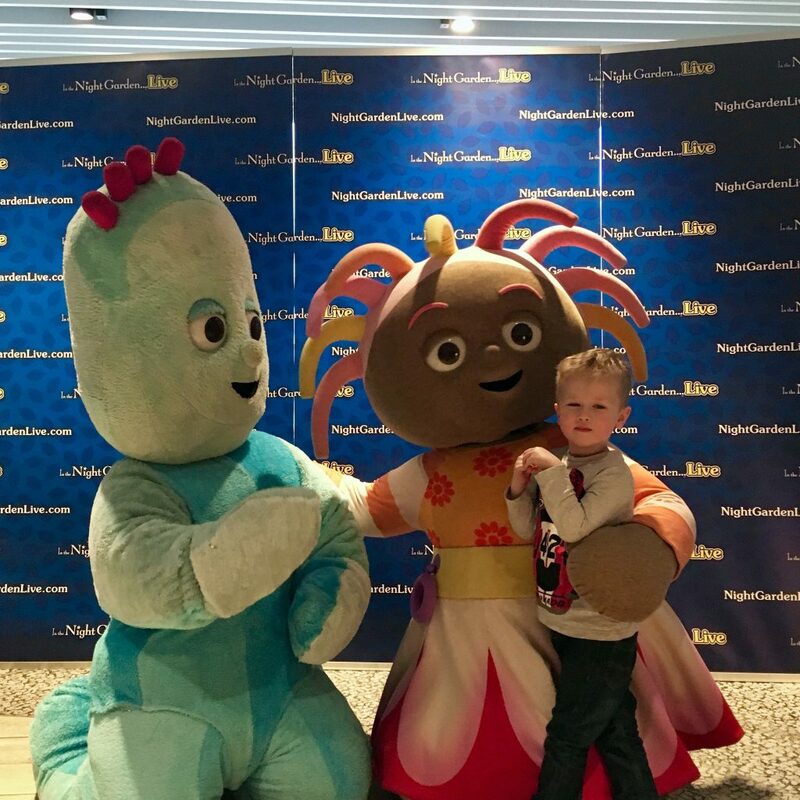 Igglepiggle started the show looking for his friends, a cute puppet version of the popular character sailing in his boat, heading on his journey to the magical Night Garden. The scenes stir up all sorts of gasps, sighs and giggles of appreciation from the audience. It was lovely to see giddy children and parents, just as excited for their little ones. 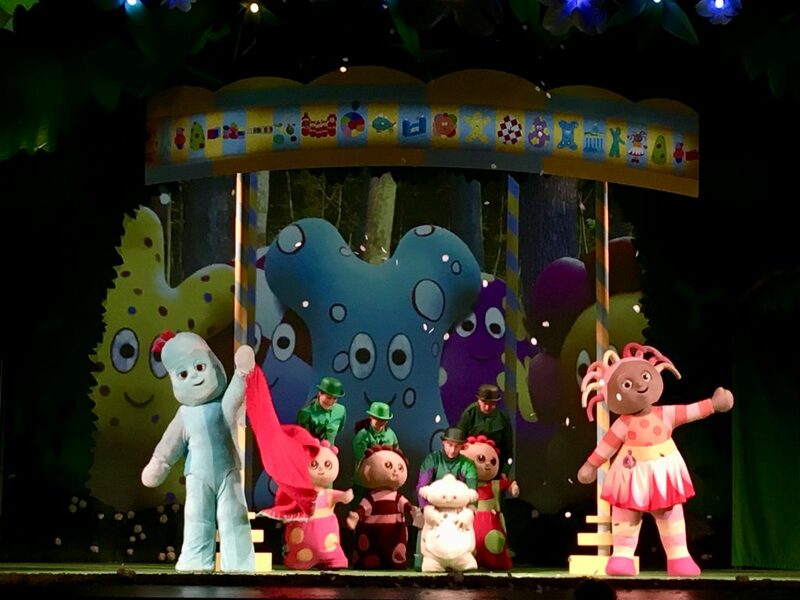 When life size Igglepiggle entered the stage, the children gasped in delight. The atmosphere was electric and noisy every time a new character appeared. 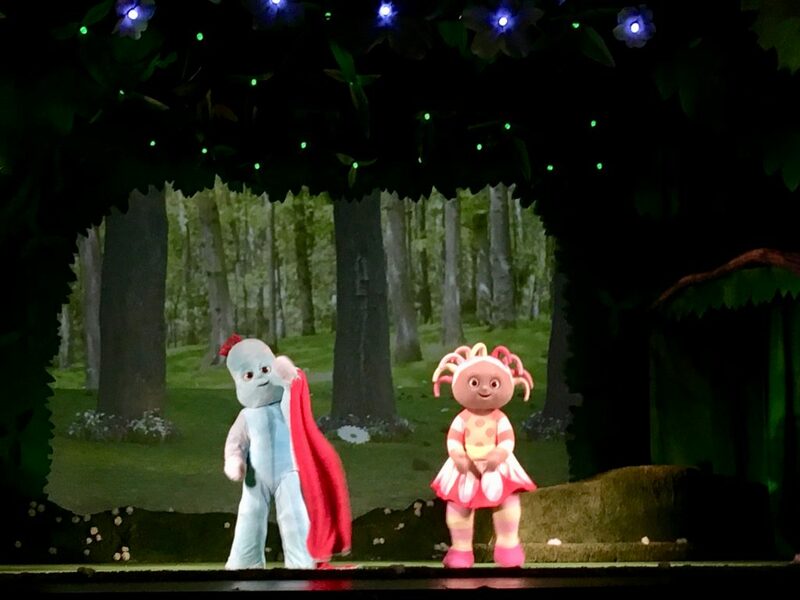 Igglepiggle’s adventure began with his quest to follow noises, the audience are taken on a trip around the magical garden meeting all of the characters. Each character took their turn saying hello to the audience from the stage before dancing to their respective songs. 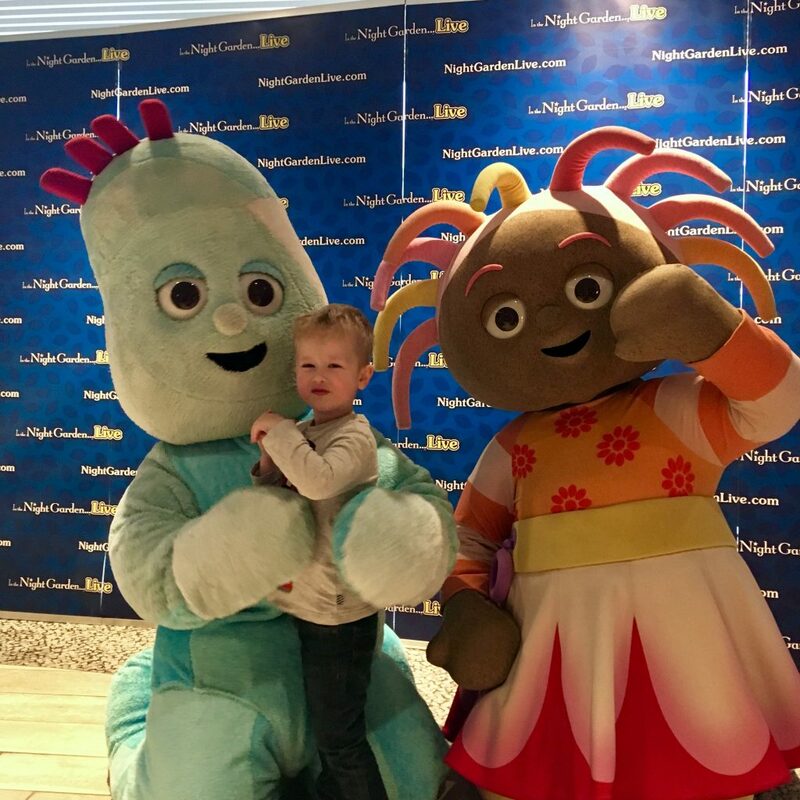 There was an appearance from the magnificent Makka Pakka and his trusty sponge, on hand to give Igglepiggle a face wash.
Upsy Daisy made a grand entrance to a chorus of gasps and shrieks from the audience, I think she is one of the favourites! The Ninky Nonk, the Pontipines, and of course the Tombliboos all joined in the adventure. Eventually, after following the noises In The Night Garden, the friends were all reunited, just in time for bedtime. 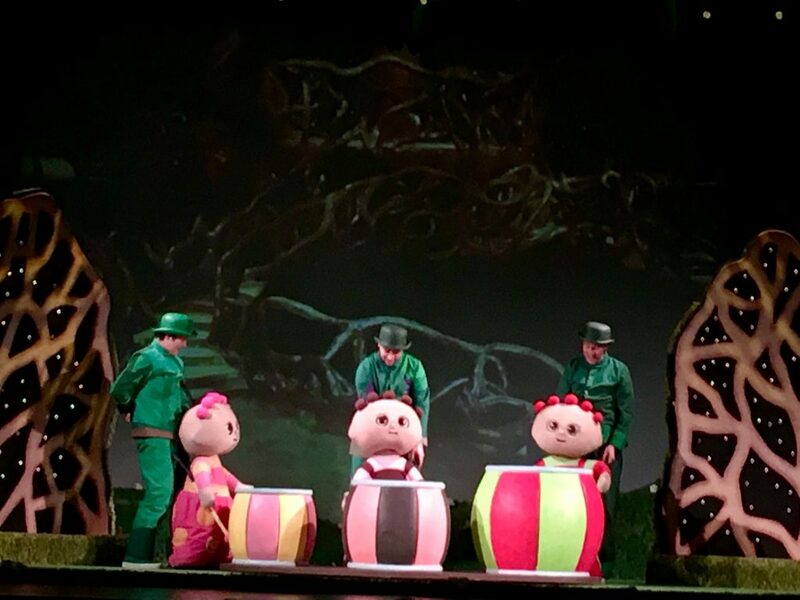 The show is visually fantastic for the children and I loved the ending with all the characters being joined by the haboo’s for their signature ending. The show lived up to our expectations and we absolutely loved it being in the theatre. There is something special about going to the theatre and I think introducing that to children from a young age is such a lovely thing to do. 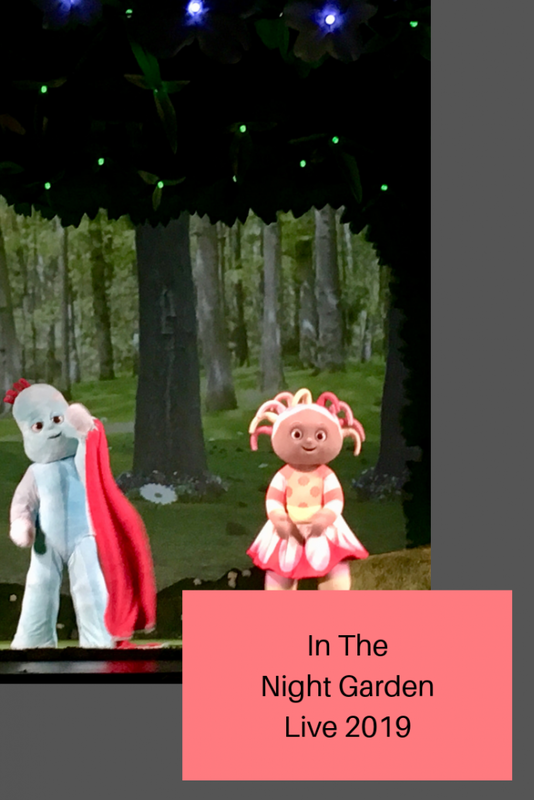 If you fancy looking back, here are my posts on In the Night Garden Live 2017 and In the Night Garden Live 2016. Lovely prize, thanks for the chance. My grandaughter loves In The Night Garden. my niece would dlove this she loves peppa pig! I’d love to win for my twins. We’ve booked to see the show in June. They love It but I think I’m more excited to see their faces! My little one LOVE ITNG! my granddaughter loves In The Night Garden, she would love this! Nice prize for little ones. My little grandson lives the night garden. Or iggle puggle as he calls it. It’s his after bathtime calming! Wonderful giveaway, Thank you for the chance. My grandsons would like this. Amazing, I think my 2 year old would have an absolute blast at this! This is a fabulous prize. It is an Iggle Piggle Iggle Onk of a prize. lovely prize – hope to win for my daughter!! Looks like an amazing show for the little ones. My youngest loves Iggle Piggle. In the night garden… A brilliant programme that indicates bedtime, little story then sleep!!!!! Yes please. I’d love to win this for my daughter. In the night garden came out out when my eldest was little and she is now 13 years old!! My grandchildren adore In The Night Garden. My little boy would love this! Fingers crossed.